Ever since the companies have started acquiring and recording all possible, available and relevant data, the growth in the data repository has been tremendous. There is no doubt that there exist hidden opportunities in this data. Since the corporate companies have realized the importance of analysing the raw data, the need for experts equipped with skills to uncover these hidden opportunities has been increasing. Lavenir Institute of Professional Studies LIPSINDIA was started by a team of experienced professionals from IIT, IIM and industry experts to fulfil the need for human skills in this field. "We feel it as our responsibility to identify the opportunities and offer the best possible training modules so as to benefit the individual and the industry at large," says Anand Kumar, Director, LIPSINDIA. The institute provides sufficient number of real life datasets to aspirants to practice and hone their data science skills, mentoring them at each step. Learning data science is all about understanding concepts. Each data analysis and model building is an art, which must be dealt by using concepts from mathematics, statistics, computer science and machine learning. "At LIPSINDIA, we recognize this and focus on equipping our students with all the required concepts," claims Anand. The course has been designed by keeping the insight in mind that visual explanation of concepts is grasped more readily and quickly by aspirants as compared to lengthy and mathematical descriptions of the same. 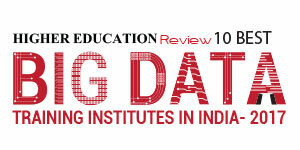 The institute provides sufficient number of real life datasets to aspirants to practice and hone their data science skills, mentoring them at each step. "We have had success with training aspirants in data science from commerce, civil engineering, mathematics as educational backgrounds and real estate, human resource, marketing as professional backgrounds. We are always cautious of putting too much ready solutions on aspirants' plate and strive to create a balance between providing mentoring and letting the aspirants experiment by themselves in our program," adds Anand. This facilitates active problem solving by the aspirants which ensures a steep learning curve for each of the aspirant while increasing the rigor of the program. "As more and more data becomes available, the data science field will experience only growth. At LIPSINDIA, we are committed to actively incorporate the trends in the industry in our courses and that is why we keep on upgrading our course portfolio as well as the course structure," claims Anand. In the coming years, LIPSINDIA plans to introduce more cutting edge courses, many of which would be firsts of their kind globally to bridge the gap between the industry requirements and the current skilled candidate pool. Anand Kumar is an alumnus of IIT and has more than 17 years of cumulative experience as entrepreneur and worked with funded startups, as digital marketer, Ecommerce marketer and digital marketing consultant in FMCG, software development and start-ups. He says, "We strive to deliver the best through our team of permanent and qualified guest faculties. It will be our endeavour to ensure we owe up to set expectations."